I like this stamp. 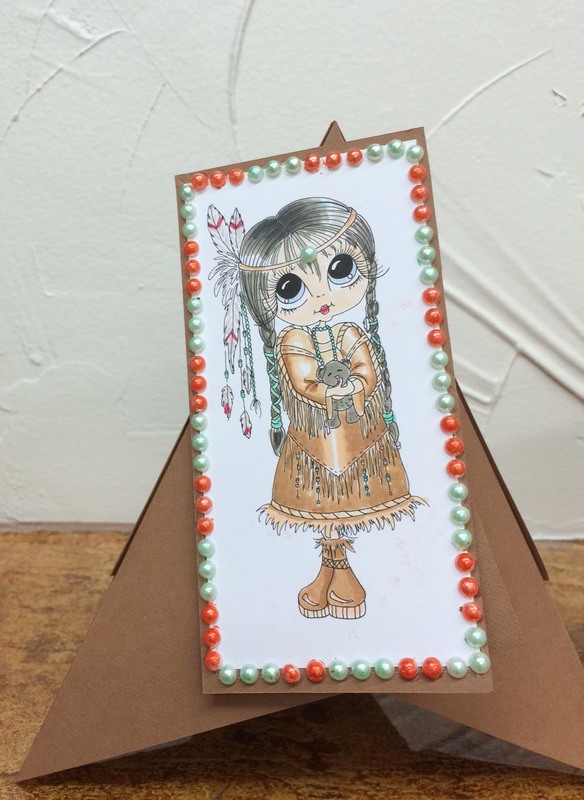 And how fun to mount her on a 3d teepee! I used the pearls as turquoise and coral beads to frame the card and on her toque. Super fun. This entry was posted in cards, markers, stamping on July 14, 2014 by twyladavis. what a very beautiful card.